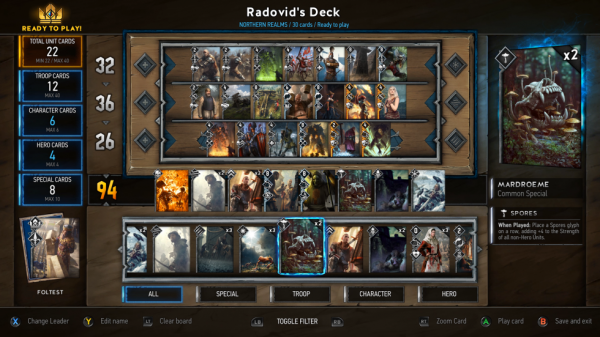 It was exciting enough to learn that CD Projekt RED was officially developing a standalone digital version of The Witcher 3’s card game, Gwent. 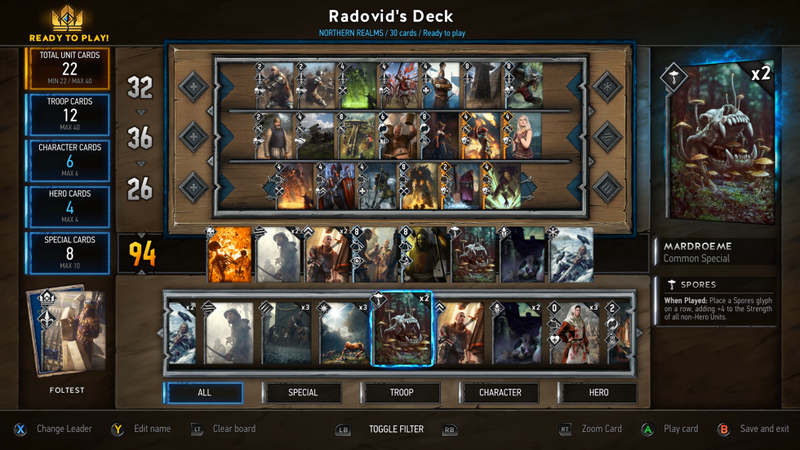 But just like The Witcher 3, Gwent is going a little overboard when it comes to extra, single-player content. On top of the new collectible cards, CD Projekt is building multiple full-fledged storylines for the game, with each campaign taking ten hours to complete. Each Gwent campaign features its own storyline, lead character, and voice acting. Players will be dropped into a huge isometric map with 2D avatars, and if you explore every nook and cranny you’ll find side quests as well. Completing missions on the map unlocks additional cards for your deck, and considering there will be multiple “story packs” to work through, finishing them will keep players busy for a long time. Of course, Gwent will have multiplayer support as well for online matches, but this goes above and beyond the single-player support games like Hearthstone have attempted. If you’d like to play a few rounds before launch, you can sign up for a closed beta on September 26, 2016.